Woodworkers will all have to do some metalwork from time to time. 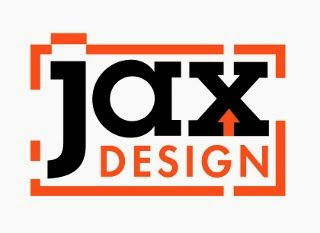 Whether you have to make custom hardware or modify metal to work for your projects. 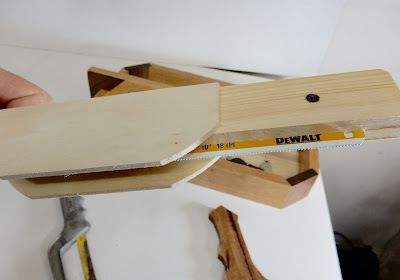 A hacksaw is must have tool for any workshop and a mini hacksaw is even better and will be a nice addition to any woodworker's toolbox. And it is fun to make. I will show you how to make a wooden handle to fit your hacksaw blades. It will be secure in the handle and also be very simple to change. This is the mini hacksaw I have had for many years, it has a lot of miles on it and a broken blade. The blade was 10 inches and fits in the handle and can be adjusted to different lengths. I will copy it but change the design of the handle. I came up with this design for the handle and actually drew it on a napkin. shape it. At the end of this article there will be a template. 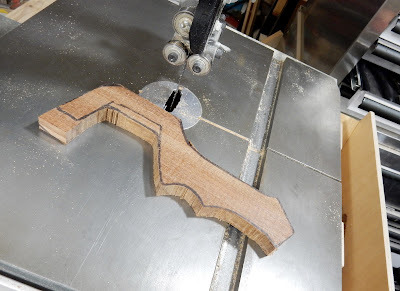 The workpiece was cut out using the bandsaw. I did make some changes and cut it larger than the original because I wanted to make sure the blade would fit correct in the front. Also it it easier to take off wood than to add. A narrow slot had to be cut in the handle for the hacksaw blade. To do that a blade was placed between two pieces of wood. A couple of screws are put in to keep it secure. Then some sides are glued on and these will be used as the guides. hacksaw to cut the slot deeper. A belt sander and a spindle sander are used to clean it up and take away any bandsaw marks. in the hole and will be used with a bolt to give adequate clamping pressure for the blade. now be adjusted to varying lengths. Don't forget to put in the blade the right way. To test it I cut put a nail in the vise and cut it. The handle was comfortable the tool felt solid making it a very nice mini hacksaw. A mini hacksaw is a great tool and can even be used for wood. Because it is simple to make and a good looking tool it would also be nice to make a few and give them away as gifts. Please let me know what you think, I would like to hear from you. What projects have you made and had to use a hacksaw? Most people may not need a powerful chain saw. They can do their yard work on the weekend. They can get away with doing light trimming, mowing, and edging to keep their front and back yards looking nice. If worst comes to worst, they may have to use a hand saw to cut away unwanted branches or go to Home Depot and buy a new McCulloch chain saw.